Welcome to another week, and I do hope you’ve enjoyed your Easter break. Isn’t the weather gorgeous? So, to kick off this week, I’ve a fabulous giveaway courtesy of the lovely people at Polefit Bedding. They want to offer one lucky winner a complete Polefit Bedding package worth up to £162. The winner gets to choose the package suitable for them and their home from the range. Do you like to give your home a Spring clean or makeover? The sunnier weather certainly makes me feel like swapping the cushions for lighter, brighter prints, and changing the beds to fresher bedding. I might even get the duster out and give the place a clean! At the very least, it’s a time of year when we all realise how much the windows need cleaning. Darn that sunshine. But let’s just get back to the beds. As part of a spring clean, I do like to turn and freshen the mattress. It’s a two person job so it doesn’t get done that often, which is why I was interested in the Polefit Bedding system. 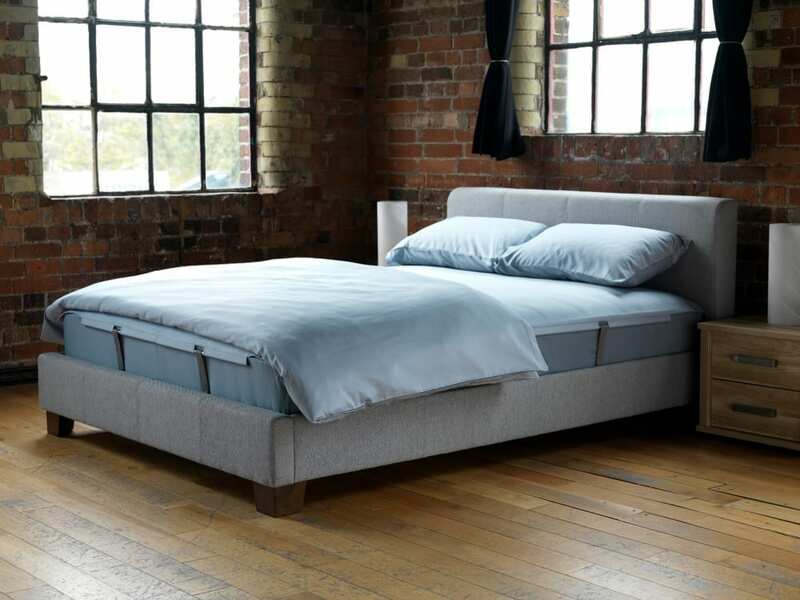 Polefit Bedding has created an integrated set of products that combine together to dress your mattress in the most effective way. The central product is the Polefit™ bed sheet which is stretched and held in place using poles and straps. In order to fit the Polefit™ bed sheet the bed must first be setup which will take around 30 minutes. When this is done the bed sheet can be fitted and removed quickly and with less effort than a conventional sheet. To enhance the appearance of the mattress a base sheet can also be fitted which covers the sides of mattress. The base sheet is fitted when the bed is set up and does not have to be removed. 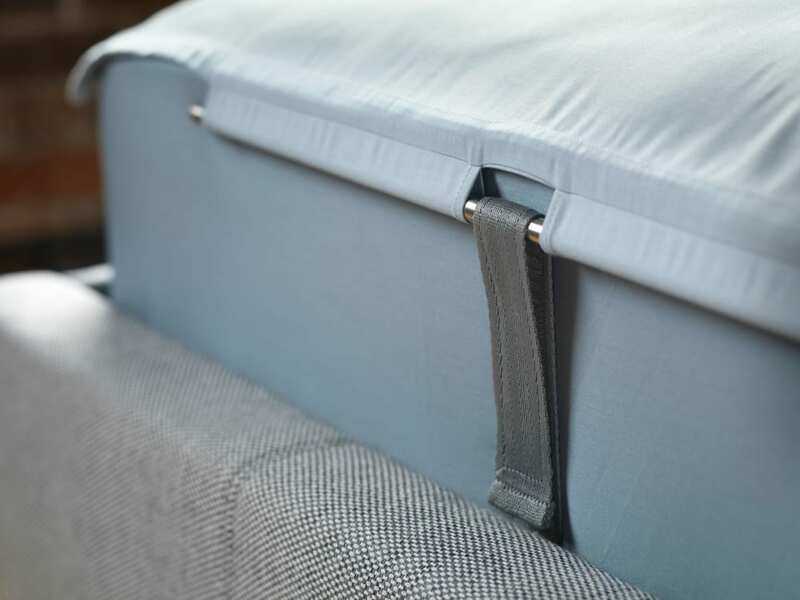 A mattress protector is also available which is held in place by the Polefit™ bed sheet making it easier to fit and remove than conventional protectors. In terms of benefits, you get a perfectly fitted sheet with minimum effort after the initial setup. You get greater comfort with a smoother sheet and less wrinkles in the bed, plus low maintenance with the sheets looking better for longer. Finally, you have a bed to show off with a contemporary and stylish finish. You can view the different packages available, and identify which is most suitable for your bed, on the Polefit bedding website here. If you would like to enter the giveaway to win a Polefit Bedding package, all you need to do is follow the Rafflecopter instructions below, and tweet the message. 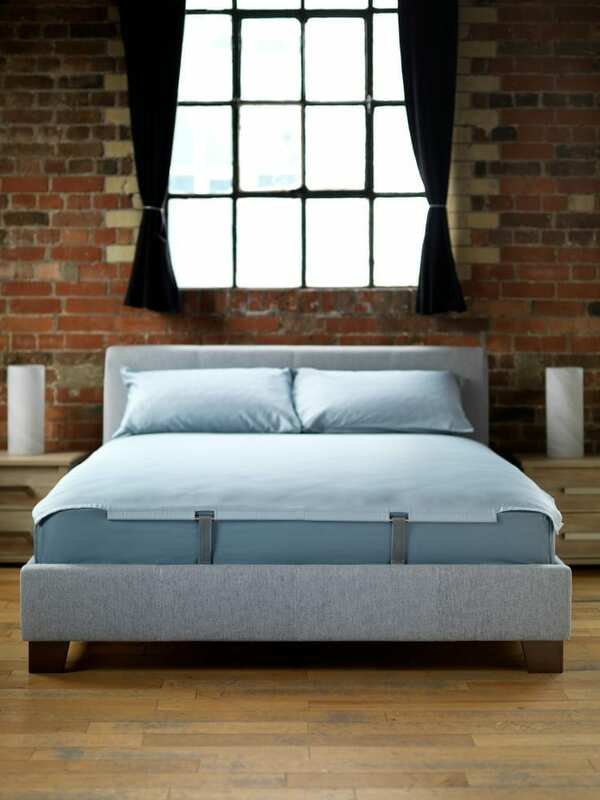 There are several extra entries to follow Polefit Bedding on Twitter and sign up to their email newsletter if you wish. Completing these extra entries will give you a greater chance of winning the prize. I put on lighter duvets and more Springlike duvet covers and curtains up. I also change the throws on my sofas – warming browns and reds during the cold months and brighter pinks and oranges during the warmer months! I change my winter duvet to the summer one, and use my blackout blind. Make everything summery and bright! I like to give the whole house a good clean from top to bottom, throw open the windows to let lots of fresh air & sunshine in (hopefully!) and change to summer duvets and bedding. Fresh flowers always add a touch of spring. I give it a good clean and pack away all my thick, heavy duvets. I like to buy new cushion and fresh flowers brighen up the living room. I like to get the garden looking lovely after the winter. a spring clean and lighter bedding – away goes the heavy blankets! I also like to paint the ceilings white again as I burn a lot of candles over winter and a fresh coat of paint makes the place feel fresh again and also I change the fragrance of the wax melts i buy and tend to get more citrus scents like lemon sorbet and key lime pie! We have a proper spring clean, get our spring and summer duvets and bedding out, more freshly cut flowers in vases and open windows for lovely spring freshness! I take down the curtains and nets wash them and put them back up .Also wash the windows of all the dust and dirt of winter. I swap the bed linen to lighter colours and put away the heavy throws I use during the winter months. I always buy new cushions for the sofas. I change the cushions and bedding to a lighter colour! Flower always make it spring like for me! I would add some bright colours to it. For example flowers, pictures on the wall etc. A good clean helps, i try to introduce some brighter coloured accessories too (towels,bed linen, cushions). I open the windows and get some fresh air in and make sure I’ve some lovely spring flowers in the garden and in my vases. I get some brighter coloured cushions, bedding etc to lighten the rooms up! A big spring clean, and I try to bring some of the garden inside (flowers that are growing etc) this is of course all depending on my gardening skills, which aren’t too great! I have been having a massive sort out, I love putting away the thick jumpers and moving the lighter clothes forward! We do a Christmas and spring clean/ clearout of toys and clothes and take them to the charity shop or give away for friends. I get much thinner duvets on the beds ,… wash the curtains…. move the furniture around … heck I have even moved rooms this year !! change my living room cushions & rug to a lighter colour. All quilts changed to summer ones. Buy some new cushions, and curtains and spring clean everywhere. Spring theme bedding and curtain and sofa throw. A lot of clearing out also. FRESH BEDDING AND A GOOD SPRING CLEAN OF THE WHOLE HOUSE! Add lighter colours all around the house, bedding, tablecloths and curtains are the main ones. Makes such a difference ! I like to freshen up the bedroom and leave the window open a few hours each day. A good spring clean. Open all the windows to air out the house and have fresh flowers dotted around. I change my curtains and cushion covers for lighter colours. I fill the vases with lots of spring flowers. I don’t actually do too much! Give it a good clean, change some ornaments around and change a few cushion covers! i like to have some spring flower around the house. New bed linen and lighter duvet. Get the paint brush out! we change the duvets to thiner ones and we open the windows wide! I like to have pretty flowers in vases. Summery cushion covers. Pretty bedding on beds. Freshen up paint work. I change my bedding (and the actual duvet) to the spring colours. I also have different ornaments and cushions for spring/summer. It justs brightens things up a bit. Put away the electric blanket and winter clothes, and start planting colourful flowers such as daffodils. Always have daffodils on display in spring. So refreshing! Nice fresh flowers and a fresh coat of paint! I would update things like heavy certains/fabrics and rugs for lighter materials. Paint any old plain vases in brighter colours, add vases and flowers to make it cheerful and change any dark colours for pastels, white or green. Light a fruity candle and do a spring clean. Always makes my house feel happier in spring! thick duvets are gone, windows open, tumble dryer off! i have more energy to put into the home in summer so spring cleans . Lighter curtains (not thick ones for the heat) windows open and I wash absolutely everything I can whilst the sun is out! We are using the Spring to build a new fireplace for a gas fire. Getting there all spring cleaned!! I swap the duvet for some light blankets. A big clear out, put away blankets and tidy the garden. I use brighter lighter cotton fabrics to keep cool and also change the room fresheners to florals. I would declutter. It is messy! Lighter duvets & curtains & a spring clean! Throw out a few old worn items and get new ones, like bedding, towels, kitchen ware, cushions etc. Washing all the curtains, windows and woodwork. I always change my rugs & curtains. Light bedding and open windows, our back door gets opened all the time too! I do several things , but the simplest is to change the curtains from heavy winter drapes , to something lighter and more filling with the season . I add a little more colour to every room, a vase of flowers to the dining table and change the cushions on the dining chairs! I have the windows open to air the house out as much as possible, I take down and wash / dry clean all the curtains, and I swap all the duvets over to the lighter ones. I go crazy for flowers in Spring. I have at least one bouquet in my kitchen and another in my living room. If it’s an “occasion week” I may have a few more dotted around the house and in the bedrooms. There really isn’t a prettier way of celebrating Spring indoors. I change all the linens in the house to lighter, brighter colors and get the carpets professionally cleaned! We have redecorated our lounge and getting rid of old papers and unnessary clutter! I invest in some soft furnishings in light and bright spring colours. I like to get all the garden stuff out of storage and usually a bit of decorating! This year we are giving a few rooms a nice, fresh coat of paint. I do a good clean – carpets as well, and change to lighter summer duvets. A thoroughly good clean and furniture from the conservatory moves to the garden! De-clutter and throw open the windows give the house a good airing. Spring clean and fresh flowers around my home. A thorough clean, summer bedding and fresh spring flowers. We put our winter clothes into storage and get our summer clothes out, bring a lot more fresh flowers into the house and start growing our own veg, fruit, and flowers, and change our heavy fleecy throws and dark bedding for lighter options, too. We also have our patio doors open a lot more during the day, so it feels like we’re bringing the outdoors indoors that way, too! BRIGHTER colours – bedding and cushions. flowers and blooms around the house. I usually swap to lighter shades for quilt covers & cushions & I put flowers in vases around the house. lots of summery throws and cushions, plus some nice flowers to bring that summer vibe! I put away all the blankets that we use in the winter and have flowers in vases. I change the curtains to lighter colours. Put in some lovely seedlings in the garden to enjoy them throughout the summer – in the house I change to a light duvet & have summer feeling candles instead of my spiced cinnamon ones. Put up pretty window boxes with primroses and lilacs outside the house and give the hall way a coat of paint to make the house seem more inviting. I have a spring clean, then change curtains, cushions, pictures and ornaments. Bring fresh new bright colours to every room in an instant. And, if you keep all your spare curtains, cushions, pictures and ornaments and just add a couple of new ones each spring, summer autumn and winter you get a good selection to choose from. It dramatically changes rooms instantly. I try to make everything lighter & brighter. I keep meaning to invest in summer & winter curtains but I haven’t got round to it yet!